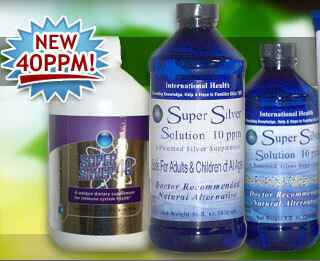 Super Silver Solution is a NEW technically advanced form of a product that has been sold worldwide for decades called colloidal silver. Super Silver’s manufacturing process is so unique that it was granted the only patent ever issued for the method of construction of a silver based product. Super Silver consists of tiny (about 10 nanometers long) particles of pure elemental silver suspended in pure water. When taken in the doses specified, Super Silver Solution® is safe for humans when taken internally or applied to the skin or eyes. Non-Toxicity Test Work Summary: In order to insure not only the best product, but also a safe product, International health's BioTech manufacturer hired an independent laboratory to do a toxicology study on the Super Silver Solution. The test, called an LD-50 test, was performed in accordance with the guidelines of the Federal Hazardous Substances Act (FHSA) Regulations, 16 CFR 1500.